Graffiti, leveldesign and super plumbers! 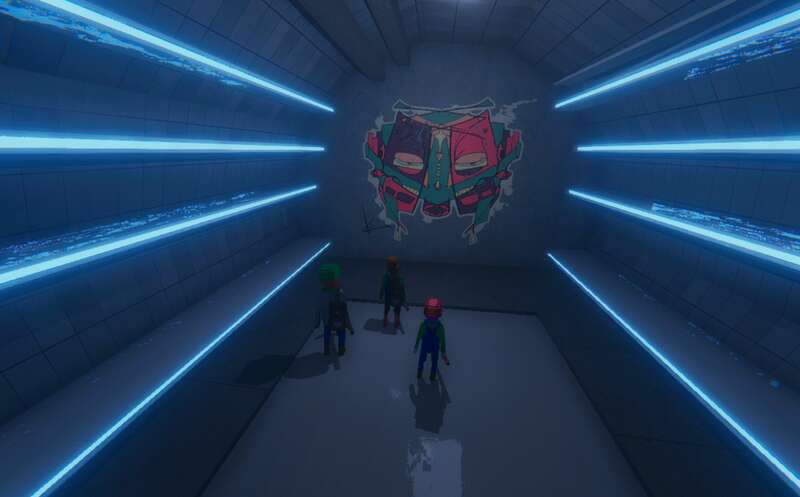 We took a break from finishing all the gameplay systems like the one from the last post and made some decals and graffiti! We also worked on level-design as well as overhauling our lightning and quality settings. Lunar Soil contains different types of levels, interior levels like bunkers, ships, moon-bases, satellites, cave-systems and the outdoor world where you have to have your spacesuit on. When we build levels we usually start blocking out the layout and set the goals for the level, like what we want to happen, what to gain or what to experience. Anyway sometimes its easier to explain design with anything else but words so here comes a lot of picture and stuff! Here is a volumetric light coming from a emissive glowing area "subtly" hinting about a pressure valve that can be turned to avoid the hot steam over at the red blinking light. 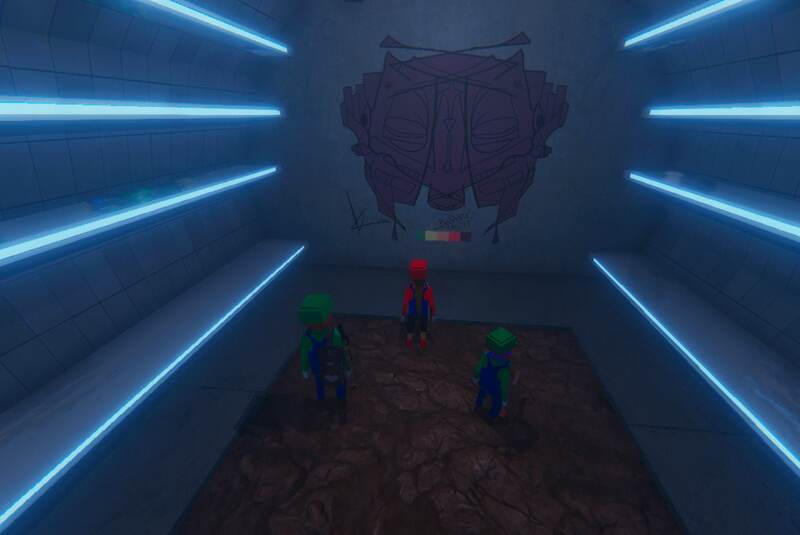 We also made some style progress with some graffiti decals! Check out that graffiti piece! Next to the uhmm mario guy? 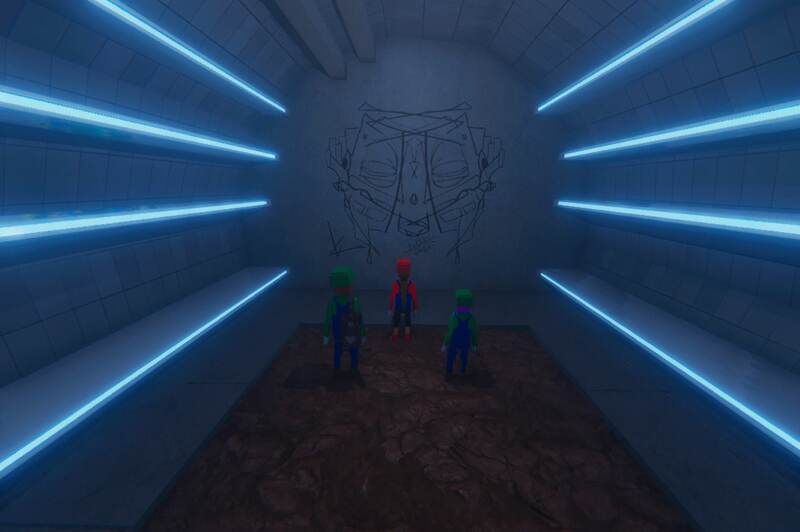 Here is a another style for a backroom in one of the levels. Also there is AAAAAALLLLOOT of things to texture in a 3d game like this awesome room. 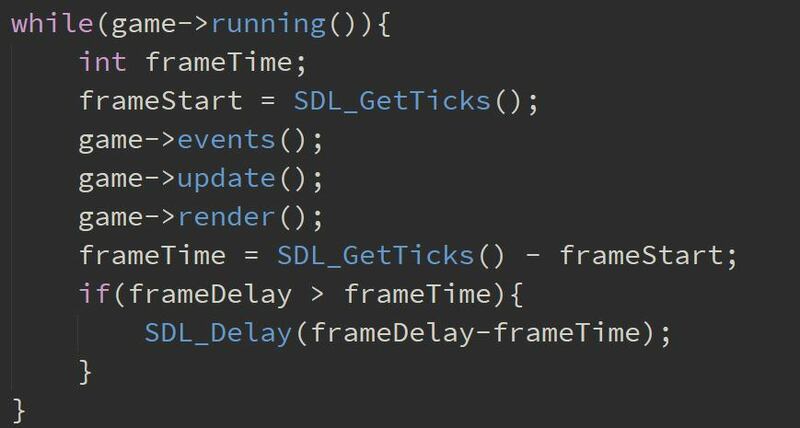 Also had some time playing around with SDL (that is other words for Unity fatigue) and researching a lot of different kind of game-loops that were fun! As well as compiling and certifying exe files (really boring stuff). A pretty basic game-loop with a fixed FPS, want to learn how to do like a multi-threaded monster instead. Oh and we also managed to burn up a microchip with a screen to a raspberry PI.